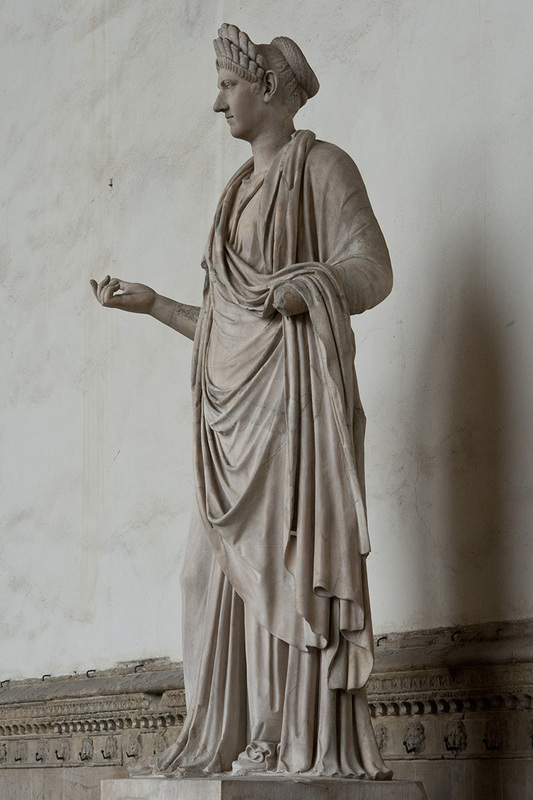 Draped female statue with the portrait of Marciana. Discovered in Rome, presumably in the Forum of Trajan. Since 1531 in the Capranica—della Valle collection; presumably in 1789 was carried to Florence. (cc) 2012. Photo: Egisto Sani (CC BY-NC-SA 2.0).